Rosé is inextricably linked with summertime. I absolutely do not think you should put it away for the year along with all your white clothing after this weekend just because Labor Day has passed. It’s domaine in the world of wine at the midpoint between white and red make rosés extremely versatile wine options that often solve the problem when you’re not sure which of the other two to choose. It’s perfect when you don’t want to think too hard about the wine (although there are some rosés with serious gravitas out there) as it goes with a ton of foods, is refreshing, and simply delicious. None of this changes that rosé is pretty much synonymous with summer. 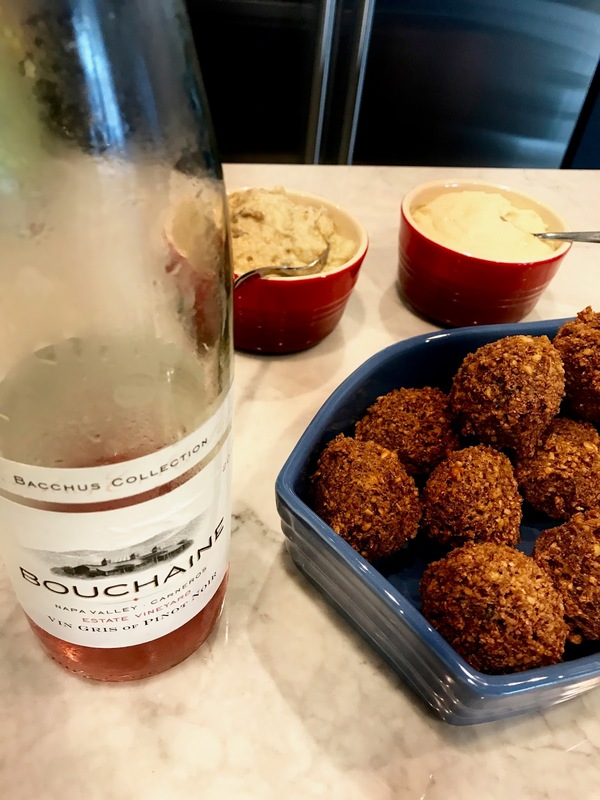 Perhaps for this reason, along with the fact that we’re usually more relaxed in the summer and open to living and loving life, rosés also tend to go along with very happy moments. I’ve put together a list here of seven wonderful rosés. It’s a little ode to the ending season–although summer is really only starting on the other side of the Bay in SF and it's scorching all over the Bay this weekend. Each one is really different, representing a wide range of styles from fruity to more structured. (Of course you’ll read a lot about strawberry and berry flavors–it is rosé–but they are still very different in style and texture.) Each one also happens to be attached to a joyful memory, all coming together to form a lovely kaleidoscope in shades of pink and salmon. You might notice that are no French rosés on this list. Make no mistake, the French make some absolutely fantastic rosés and certain regions of the country specialize in the matter. However, I’ve covered quite a few in recent posts–click here, here, and here to read about a few. Also, I make allusion at times to method used to make the rosés. If you’re interested in more information on this, WineFolly.com has a good primer on the various methods of making rosé. Now without further adieu, cue La Vie en Rose ! A winery day. A cozy evening at home. An evening with friends and fam. The winery focuses predominantly on Pinot Noir and Chardonnay, and among the offerings that day was a delightful rosé. 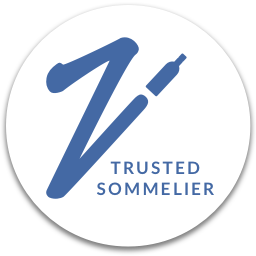 The Bouchaine Vin Gris of Pinot Noir 2016, made via the saignée method, was juicy and ripe without being cloying, with a rounded mouthfeel. It showed raspberries, strawberries, melon, tropical fruit notes, and a hint of stoniness on the finish–it was just all around deliciously quaffable. Quite a few of us took home bottles that day. We took two. Greg and I enjoyed the first bottle earlier this year on a night that we just wanted to drink something delicious. We enjoyed it with a simple dinner of pesto chicken wraps and a side of cheddar smashed potatoes. The second bottle we shared with my parents and some of our dearest friends accompanied by mezze on our friends’ spectacular terrace at sunset. (These friends also happened to be the first to have introduced us to Bouchaine’s wines.) 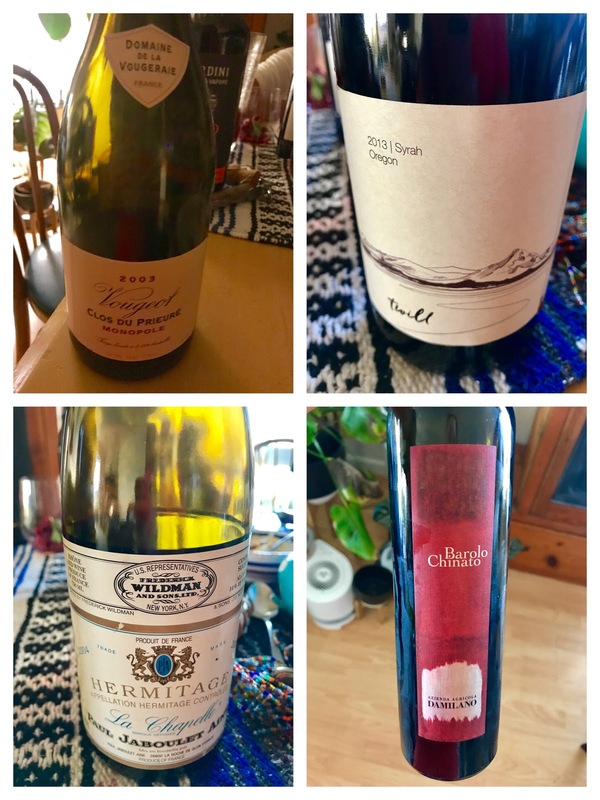 The wines fruit-forward character held up well against the varied Middle Eastern spread. The company made it even better and the sunset was the cherry on top. It all started with an innocent bottle of rosé and some cheese. ‘Come over for a rosé happy hour,’ my girlfriend D. said. ‘We’ll all hang out until it’s time to put the baby to bed.’ Perfect idea. Greg and I arrived and were poured glasses of Long Meadow Ranch’s Rosé of Pinot Noir 2016, soon followed by an absolutely gorgeous platter of cheese and charcuterie artfully prepared by D.’s husband OWD. Greg added his own touch to the cheese plate creating a cheese caterpillar. OWD also works in the wine biz and soon he was popping one fantastic bottle after the other and wine flowed freely–as often happens when wine geeks get together. Five or six hours later, we were all still chatting around the table, long after they’d put the baby to sleep for the night. It all started with a wonderful glass of rosé. A luxurious summer afternoon in Marin. A friend and mentor of mine made a quick stop in the Bay Area and invited me over to hang out at her sister’s house where she was staying one afternoon. Her sister’s home had one of those beautiful patios that could be better described as chic outdoor living room. The day was warm, but not terribly hot thanks to light breezes that occasionally wafted through. Enchanting. My friend put together one platter with a burrata caprese salad and another with juicy sliced peaches and Humboldt Fog. I brought the wine–Weingut Leitz Pinot Noir Rosé Rheingau 2016. The grapes for this German bottling are fully destemmed and vinified in stainless steel via the direct-to-press (maceration) method. It’s fairly low in alcohol at 11% as well, so your day drinking is less likely to drag you down. 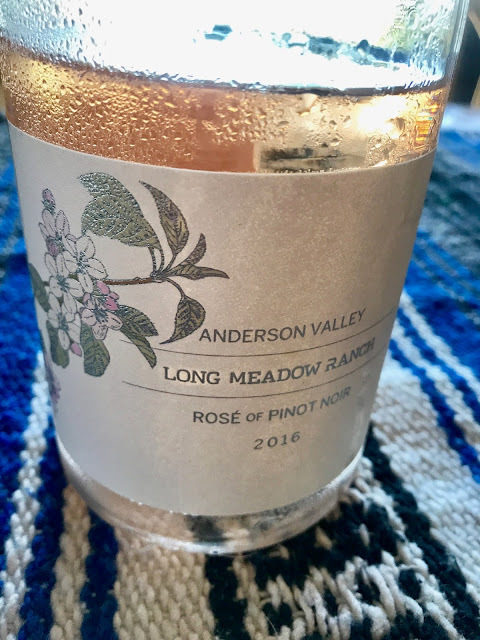 This wine is so fresh and bright with tart rainier cherry, strawberry, and white peach flavors and hints of white flowers, orange zest, and a light minerality on the finish. This wine is incredibly drinkable and it was absolute magic with the peaches and Humboldt Fog. Altogether, a perfect California afternoon. A meandering Sunday with girlfriends. You gotta love those summer days where you don’t really have anywhere to be other than hanging out with friends. This particular day started with a delicious brunch with girlfriends at Penrose here in Oakland. No one was in a particular rush to be anywhere else when brunch was over and everyone wanted to keep the good times going, so we headed over to Bay Grape to share a bottle of rosé. 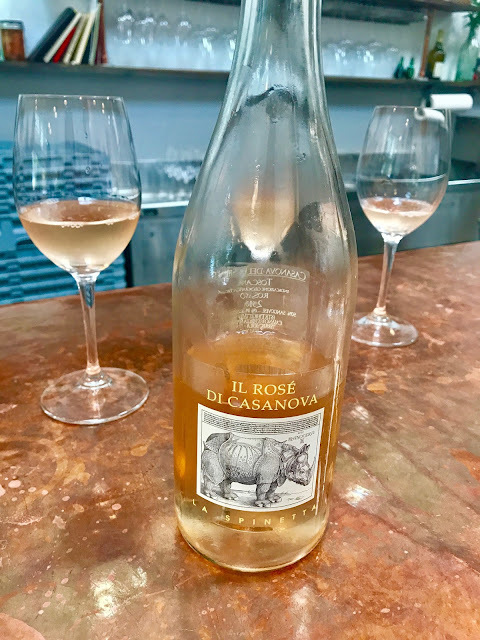 The bottle of the afternoon was La Spinetta Il Rose di Casanova Toscana 2016, made from 50% Sangiovese and Prugnolo Gentile (the Sangiovese clone local to Montepulciano). It’s pressed after one hour on the skins and vinified in stainless steel, and then spends three months on its lees. The wine has tart cherry, underripe strawberry flavors, and a little bit of orange rind. It’s inflected with herbs, a little earthy minerality, and light floral notes. This is a rosé with a little more structure than the average with some light tannins in the mix. 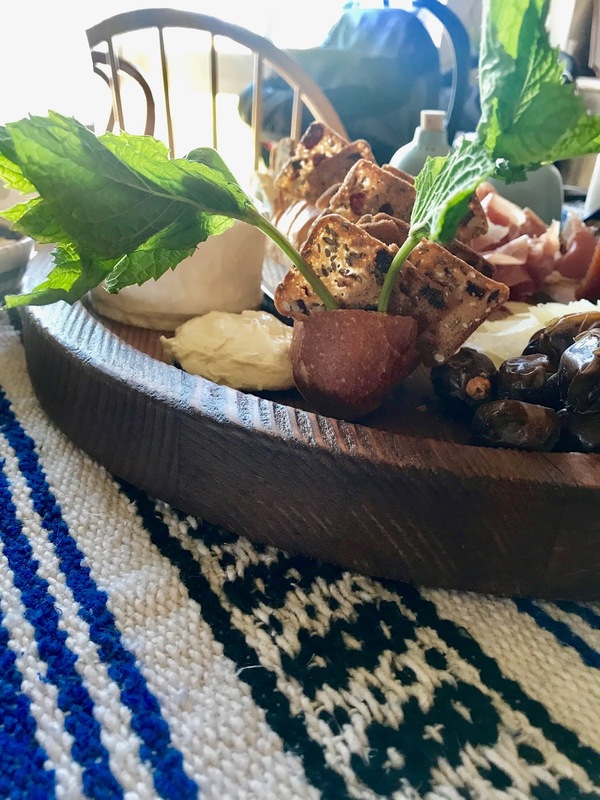 We didn’t have anything to eat with the rosé on that day, but I think this would go really well with an array of charcuterie since it’s a little more robust, in addition to fish and chicken as well. A porrón = party time. There is something about a porrón that screams good times. It’s glass wine pitcher that’s common in Spain, particularly in the Basque country and Catalonia. It kind of looks like a genie’s lamp, which right away makes it seem kind of magical. Competitions are held to see how high people can pour from them and they also pour from it directly into friend’s mouths. Like I said, good times. 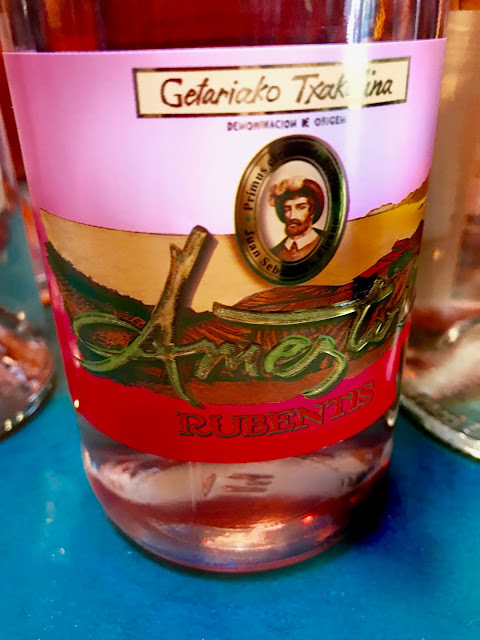 Pouring forth from the porrón on this particular occasions was the Ameztoi Rubentis Rosado Getariako Txakolina 2016, and the shindig was Bay Grape’s (where I work part-time) third anniversary. Everyone was assigned a wine to pour for the evening–decorations and costumes were involved. I dressed up, but knew we had the magic of the porrón in our camp, so little decoration was needed. I also happen to love this wine, so it was very easy to talk it up. The wines of Txakoli are ideal for summer drinking, as are rosés, so this is kind of like summer squared. Txakolinas come from Basque region of Spain and they’re pretty unique. Some have a hint of effervescence (not full on sparkling, but more like a Vinho Verde) and they tend to have bracing acidity combined with tons of minerality. This one is no exception and has notes of fresh berries that flow into citrus zest with a little pith, and finishes with a saline minerality. It’s so, so, so refreshing. This wine is made up of 50% Hondarribi Beltza and 50% Hondarribi Zuri–grapes local to the Basque region, red and white respectively–which are destemmed and co-fermented. It’s bottled with a little residual carbon to give it that light spritz. I recently posted a recipe on NibblingGypsy.com for Parsley-Tomato Shrimp with Lemon Pepper Orzo that I coincidentally paired with Ameztoi’s white wine. I think the rosé would make an excellent match as well. Doing good with every sip. A nod here to those wonderful everyday moments. Greg and I enjoyed this bottle over dinner–just us, dinner, wine, and a binge session in front of the TV. 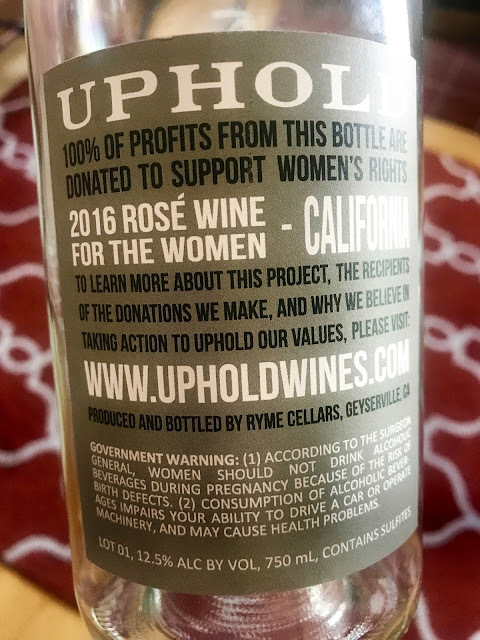 Uphold is a project from Ryme Cellars. Owners Ryan and Megan Glaab created this line with the idea of giving back to the community and creating positive change. There is a red, a white, and rosé and the net profits from each bottle goes to support different causes. The red is “for the people,” the white is “for the planet,” and the rosé is “for the women.” They're also all around $15. I haven’t been able to find much detail on the winemaking, but the 2016 rosé in made up of 100% Aglianico. 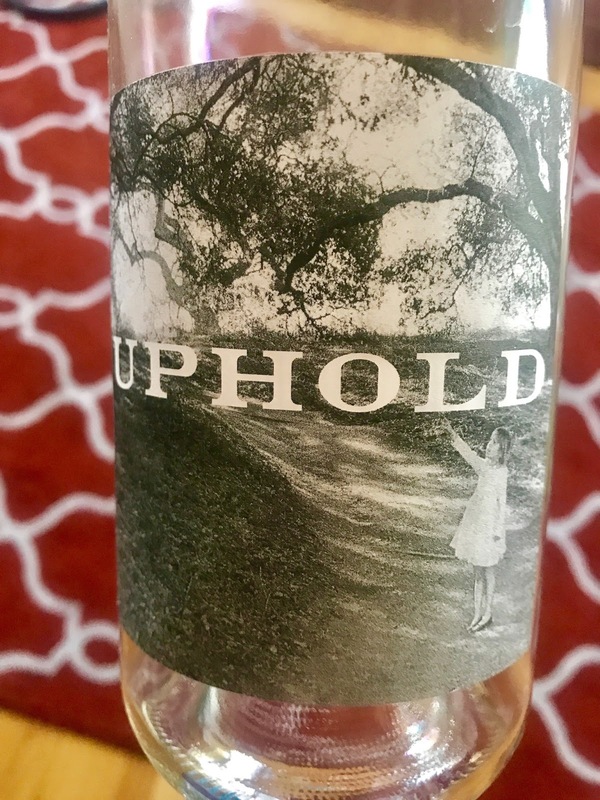 This Uphold Rosé For the Women 2016 is another one that showed some structure, which was probably coming from Aglianico’s firm tannins coming through. It had really bright acidity with tart strawberry and cherry notes and citrus zest with light herbs and a little grip at the end. Greg also noted that there was a luxurious quality to the wine. It might be the power of suggestion because there were tomatoes in our dinner, but I also picked up a bit of tomato leaf and tomato water. We had this with a classic Shrimp Scampi to which I added some tomatoes a friend brought me from her garden. (Check out @siliconvalleycreative on Instagram–she has a beautiful feed.) This made a really wonderful match as the wine’s brightness really sang with the tangy tomatoes. Memories of summers past served up with take-out. I was worried I might have let this bottle go too long. It’d been hanging around for quite some time and I promised myself that we’d open it by summer’s end. Here we were facing down Labor Day. The Wolffer Estate Summer in a Bottle Rosé Long Island 2014 is not a super pricey bottle–although it is a really pretty bottle. We went to the winery a couple of years ago, not long before moving away, and I think was holding onto it out of nostalgia. Still rosé doesn’t keep forever . . . at all. Luckily an occasion presented itself earlier this week. Friends were coming over for a very chill night. The plan was to order in and just hang out. No time like the present and wine is always better with friends! Also luckily, the wine was still delicious and in good condition. The 2014 was a blend made up of 50% Merlot, 19% Chardonnay, 19% Cabernet Franc and 12% Gewürztraminer. I couldn’t find winemaking notes for the 2014 at this point, but if we can use the 2015 as a gauge, juice from all lots was vinified separately, then allowed to rest sur lie for 3 months before blending. The wine was very crisp and showed notes of crushed strawberries and tart cherries, a little watermelon rind, and hints of flintiness. There was also some nice textural elements that I’m sure were coming from the aging on the lees. It worked quite well with a variety of the Laotian and Thai take-out we ordered in, handling even the tricky spicier dishes adeptly. The wine was perfectly lovely and still vibrant, but it’s a good reminder to carpe diem on those bottles lest we miss their magic. So go ahead and open something delicious this weekend!